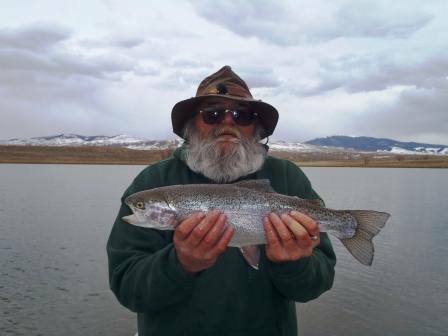 We have some of the best fly fishing guides in the area. 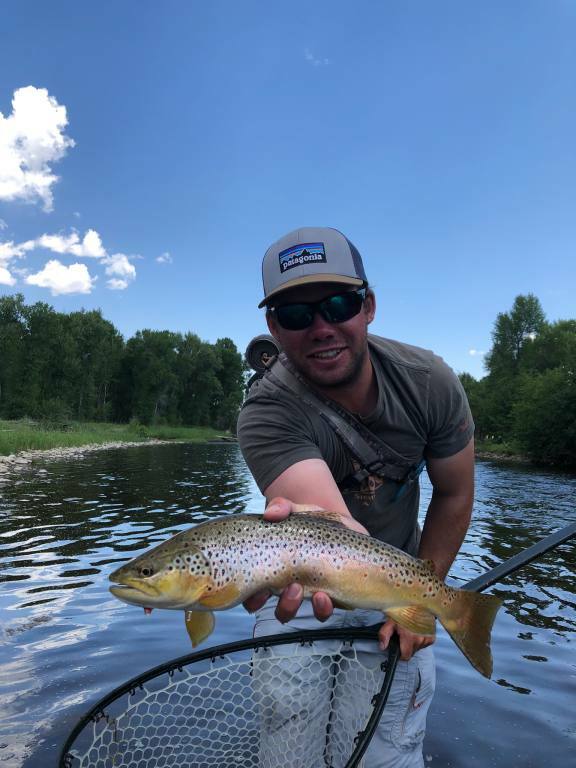 Our guides have been with us for a long time and have an excellent reputation among our clients, providing quality fishing experiences and a lot of fun! Of course Phil McGrath and his brother Duncan McGrath are awesome and their information can be seen on the About Us page. Pete, right, began working for Hack's in 2013 after working for a number of years as a U.S. Forest Service firefighter. Pete got married on May 5, 2018 to Sarah and the newlyweds make their home in Encampment. 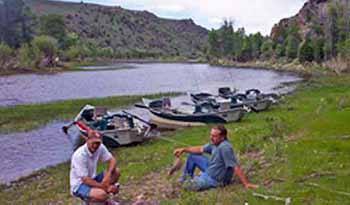 Pete is from Oregon originally but has come to love the upper North Platte River valley and calls it home. Pete also builds custom fly rods. In the fall months, he guides bird hunters with his beloved bird dogs. In the early winter and spring months of 2015, Pete went to Honduras and worked as a fishing guide in some new waters. 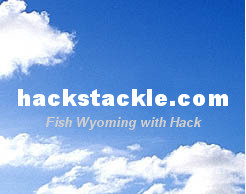 Pete shares the love of fishing that all Hack's guides have and is a great addition to Hack's staff. This year Pete has moved up into the Head Guide position. Vince Hytrek, left, has now been with Hack's for 16 years. Vince and his wife, Kim make their home in Saratoga and have for many years. 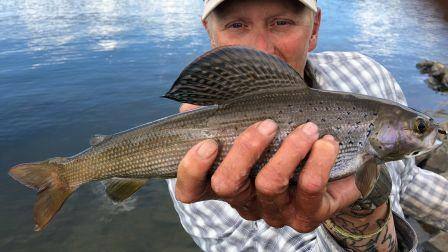 Vince has found that some of the best fishing in the upper North Platte valley is in the fall months. Vince has a contagious laugh that will make you laugh and has excellent fishing skills to make your trip memorable and fun. Vince does odd jobs when the river is frozen over, loves to ice fish and also has his own tree trimming business, Hytrek Tree Trimming and Removal. 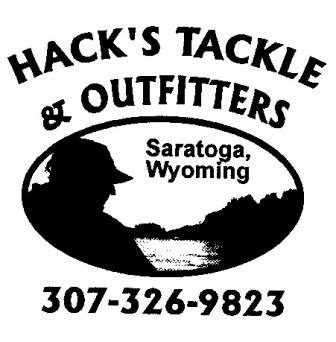 James, right, is currently a student at the University of Wyoming but has been guiding for many years and has been with Hack's for two seasons. 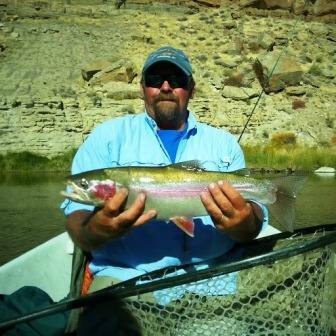 Like most of our guides, James spends most of his spare time out fishing and is very knowledgeable. 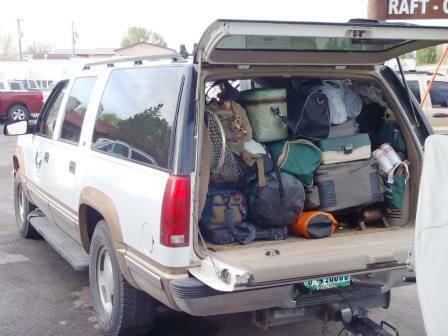 We've been told that we have the most colorful drivers in the valley and they will entertain you while driving you safely to and from your fishing excursion. Driving around the valley in the spring, summer and fall is an extraordinary experience and that's what Hack wants to do now that he's retired. We employ more than one driver but the two main drivers personal information is listed below. Tim joined Hack's in 2017 and is a welcome addition to Hack's crew. Tim recently retired from Custom Builders and is available for all types of handiman jobs. He likes getting out early to take our clients fishing and then spends the rest of the day working at his other job. 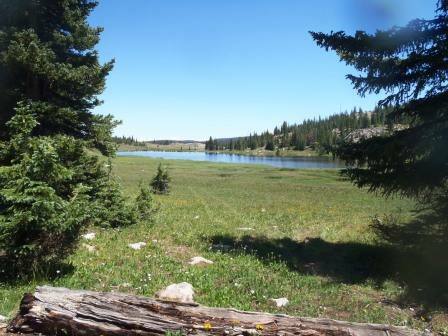 Or going walleye fishing at Seminoe Reservoir. Don Ainsworth, left, has been with us since 2005. He took 2017 off due to health issues, but is now back with us. Don came for a visit from his home state of Iowa and fell in love with the valley. He served his country in the U.S. Army and is a retired bar owner. Don loves his Harley motorcycle, his new puppy Shiloh, his daughters and grandchildren...although not necessarily in that order. Our drivers also all love to fish and spend most of their free time fishing, too.